I did the Monster as a new member in 2015 and it cemented my commitment to cycling and Orwell. I met for the first time new friends (Gar, Noel, Michael to name a few) and realised I could handle a long spin in the hills. This was invaluable for my first WW200 later in 2015. Pushing myself like a caffeine doped lunatic ahead of the group on Shay Elliot in 2017 gave me precious 'emergency reserve confidence' which I cashed in during the Marmotte later that year. You can do as little or as much or the route as you like. For some people, Laragh and back will be sufficient. Others will want to take on the Wicklow Gap and Turlough Hill having already raced up Shay Elliot north and south. If plenty of the advanced racers turn up I will nominate someone to lead a faster group on the day and I will lead a dark yellow-orange group. Planning to join you weather permitting that's if the beast from the east version 3 does not return. Hi guys, I'm about for this- looking forward to it. I'm in to suffer like a dog whatever the weather. I'll try and find last year's legs but fear that I lost them over the winter somewhere. Fingers crossed the fire will be on in Clodagh’s! I can see fresh snow on the hills near Kippure from my office. I know it's complete violation of Rule 5 but we might need to adapt the route a little tomorrow. 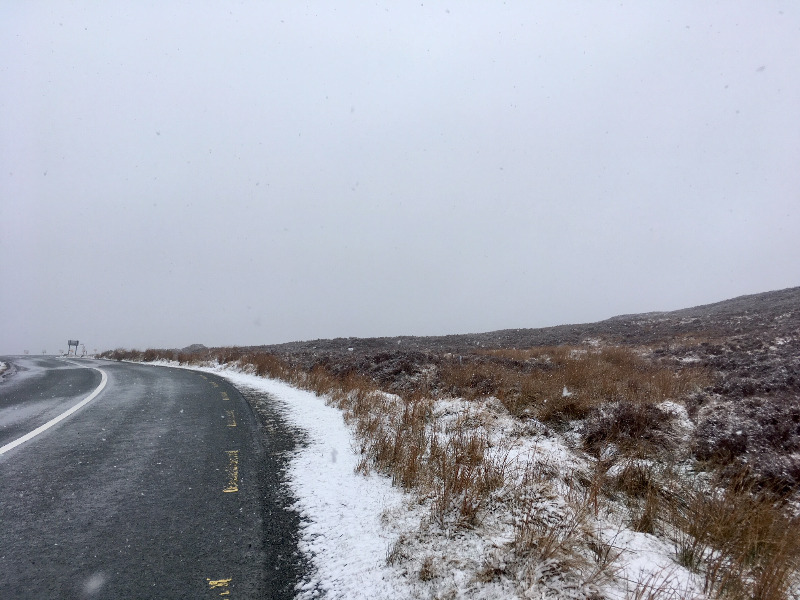 Sally Gap was fine last Sunday but likely to be a little whiter early tomorrow and maybe icy. We could go out along Enniskerry, Djouce to Larragh then test some climbing up Shay Elliot/ Wicklow Gap etc. We'll see in the morning. Wear your booties. Apart from the one place where one had to dismount and carry the bike around a car stuck in snow. Now to get the bike ready and weather permitting see you all tomorrow. 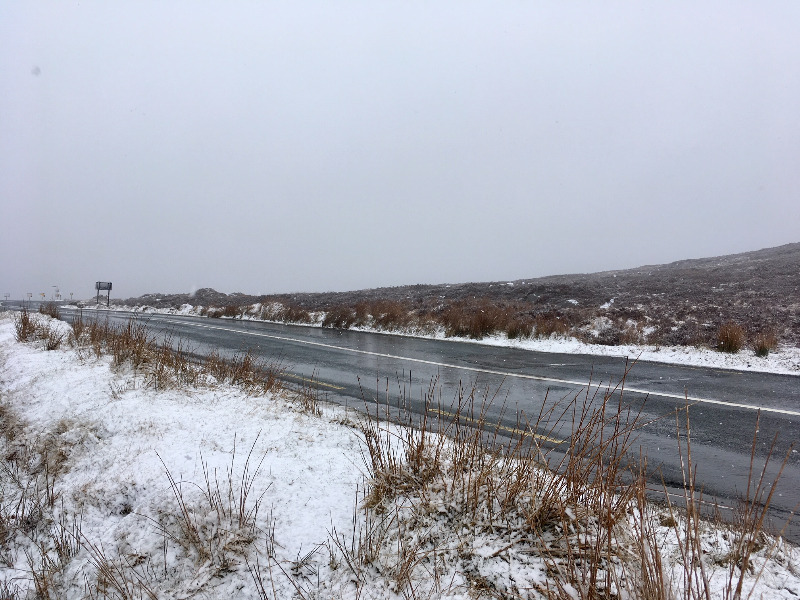 I was driving across the Wicklow Gap today and it was pretty nasty up there but the snow wasn't sticking. Very cold - 0 degree with an easterly wind. Snowing on the Laragh side from after the ruins and then the Blessington side was sleety, cold rain. It didn't bother Nico though, he was spotted crossing the gap about 30mins before I got there. Best of luck tomorrow, be safe and enjoy!! PS Balls to Rule 5! See you all at 0830. There will still be plenty of climbing and coffee. just a word of thanks from everyone for organising this. Always one of the highlights of the leisure calendar. You managed to organize the crappiest weather but still got great numbers. Did I think of taking part - yes. Did I rapidly give up the idea - yes. Do I now bow in awe - YES. For a select clientele, Rule 5 clearly lives! Meeting at the viewing point at 8:45am And then onwards! If you weren’t happy with last week you can come this week. Our small group will be staying together so if your red you can form your own group!! We are training for our own event in June and are a bit behind!! So if your not wicklow 200-Ing come help us train for Mont Ventoux! Will be a long day naturally! The Good Friday Monster is essentially Sin from Final Fantasy X, we form group and we slay it, but it returns rebuilt anew. Book the day off work (if needed), give up the Krispy Kreme Doughnuts (defo needed). It's on Good Friday, April 19th 2019. Depart Yellow House at 08:30, multiple colour-fluid groups, they'll sort themselves out on Cruagh. It will be 4-5pm before you get home. Segment 1: Cruagh, Featherbeds, Sally Gap, Laragh. Segment 2: Shay Elliot, Sliabh Mann, Brown Mountain, Shay Elliot, Laragh. Segment 3: (Weather Permitting) Wicklow Gap, Turlough hill, Laragh. Segment 4: Glenmacnass, Sally Gap, Featherbeds, Home. Obviously make sensible choices on route diversions, where necessary. If you're not confident on completing the whole spin, or need to be back earlier, remix the segments for a shorter Mini-Monster. I've attempted this 3 (now 4) years I a row and have yet to do the full route(bailed out on Turlough Hill) However it has always been one of the best spins of the year for me since joining Orwell. Something for everyone, the racers can stretch their legs and have a rare cake and coffee. The sportive gang can get a great workout in prep for WW200, L'Etape and Marmotte etc. Anyone who doesn't fancy the full route is welcome to do as much or as little as they want. Plenty of coffee stops in Laragh make the day a real treat. I dare anyone to break my record of 6 coffees. 'Come one come all.... The monster is back. This is the springs toughest training day on the planet and is strictly and dark yellow orange and red spin. Meet at 830am yellow house. Then the route is cruagh featherbeds sally gap laragh for lunch. Then it's up shay Elliot sliabh Mann Brown Mountain then back over Shay Elliot. If weather allows its up Wicklow gap and up to turlough hill and then back to laragh. After that it's glenmacnass sally gap featherbeds home. If you're aiming at the w200 or any tough spin this year this is a serious training spin that could be for you. However it's a tough day out so think about whether you're up for it this early in the year. 2018 - James O'Callaghan completing the full route in the after effects of the "Beast from the East"
Last edit: 1 month 6 days ago by Luke GJ Potter. Thanks to Luke for posting. Looking forward to the 6th year of the Good Friday Monster / Cruxificion. 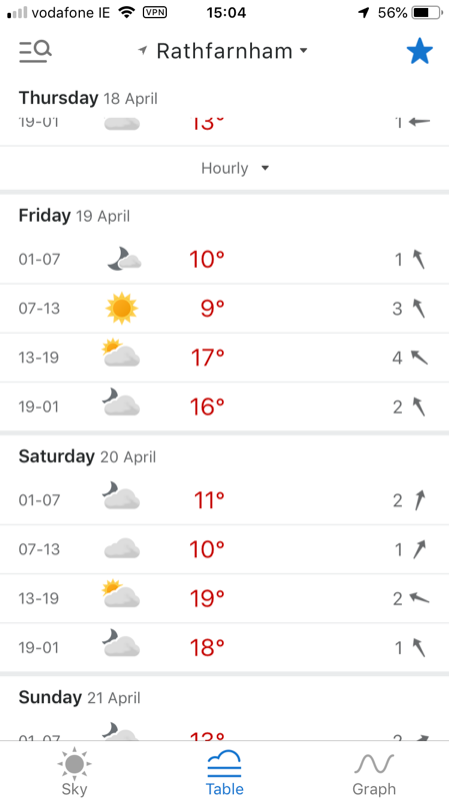 Weather looks like it will be 20 degrees and sunshine! Fingers crossed I'll be there too. What a contrast to last year! 20 degrees and sunny - are you sure you haven't been looking at Dublin, Florida! Just sounds too good to be true. A bit like my climbing legs at the moment. Hope Clodaghs shop in laragh has a 99 ice cream machine and sun screen !! Hi Guys I would like to tag along. I am a yellow pace. Have many yellows signed up for this spin?